"I hope the humanitarian aid gets in," one Caracas man told ABC News. Venezuela’s growing parallel opposition government extended its reach to the all-important oil sector on Wednesday when the country’s National Assembly moved to appoint new boards of directors to the state oil company and its refiner CITGO. On Tuesday, Guaido set a date – Feb. 23 -- for accepting dozens of tons of humanitarian aid currently held up on the country’s border, in defiance of Maduro. 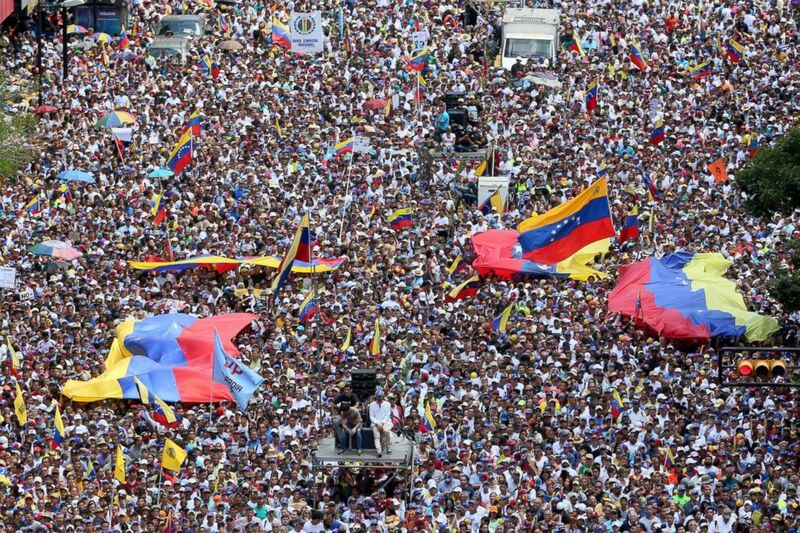 (Edilzon Gamez/Getty Images) Thousands of protesters gather at Avenida Francisco De Miranda during a demonstration organized by Juan Guaido, Feb. 12, 2019 in Caracas, Venezuela. 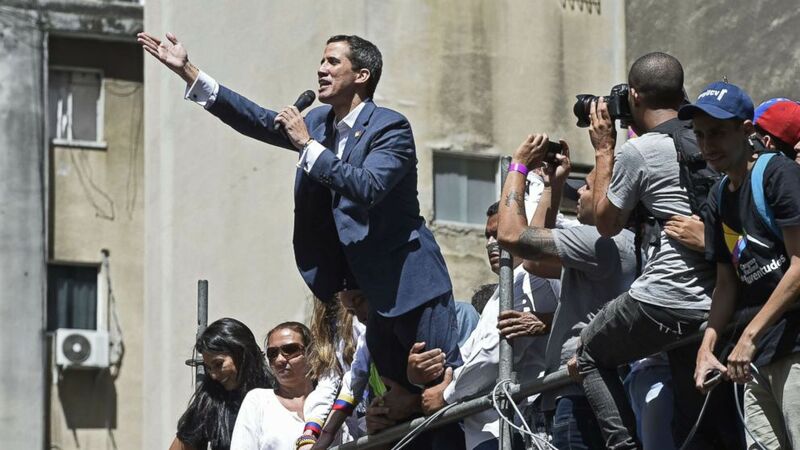 (Federico Parra/AFP/Getty Images) Venezuelan opposition leader and self-declared acting president Juan Guaido speaks during a rally to pressure the military to let in humanitarian aid, in eastern Caracas on Feb. 12, 2019. 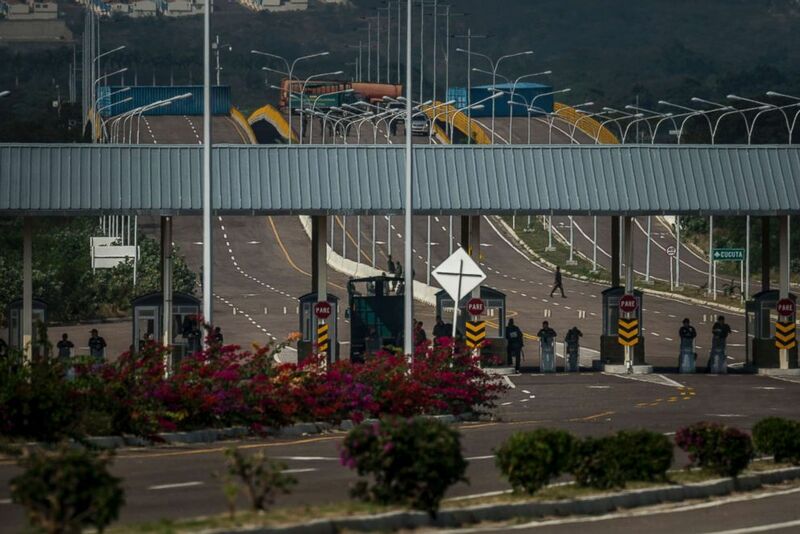 (Meridith Kohut/The New York Times via Redux) Venezuelan soldiers and shipping containers block the bridge leading to Cucuta, Colombia, Feb. 12, 2019. Tons of humanitarian aid is siting on the other side of the bridge in Colombia, but the Venezuelan government has refused to allow it to enter the county. 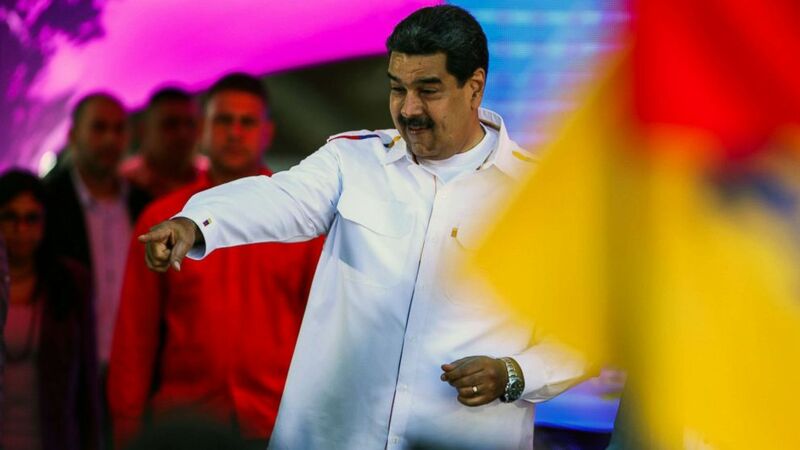 (Orangel Hernandez/AFP/Getty Images) Venezuela's President Nicolas Maduro gestures during celebrations for "Youth Day" at the Bolivar Square in Caracas, Venezuela on Feb. 12, 2019.